Not only is there the colour and flower choices to make about your wedding flowers – but there is also the shape of your wedding bouquet. 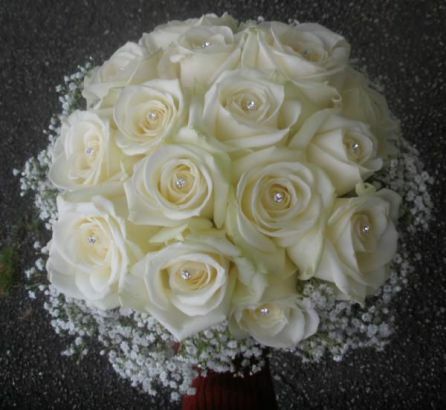 This is by far the most common shape of bouquet and it can be done in different styles depending on the wedding. 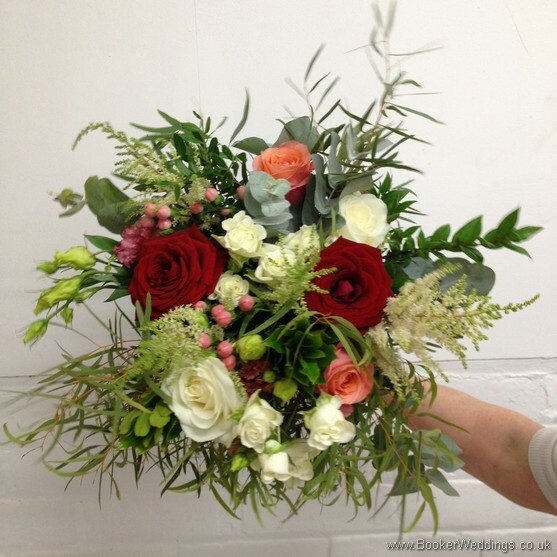 This is the more traditional style and usually includes one or two types of flowers tightly packed into a posy style bouquet. Colours tend to be limited to one or 2 only. Depending on the wedding style and theme you may want to dress this up with diamantes and pearls. It looks particular good against A-line dresses but will suit most dress shapes. This bouquet is a more relaxed version of the classic posy but with a just-picked look (not too messy). It usually includes at least 3-4 types of flowers. It's a style that suits all wedding dress styles. 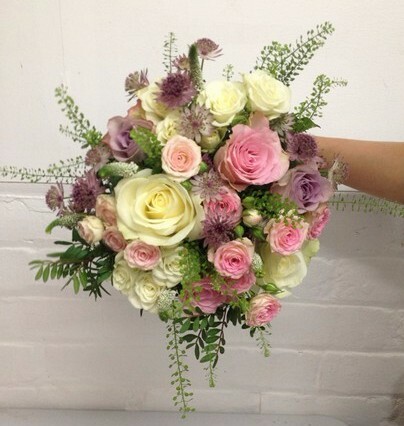 More colour is usually brought into this style of bouquet. This style is very on-trend and takes the just picked look to a new level. With lots of colours and textures created by flowers, greenery and seedheads. It is not as formal shaped as the just-picked and has lots of texture. They tend to larger than the classic and loose style posies. This style of bouquet is suited to an outdoor rustic garden themed wedding and is ideal against a more rustic boho style dress. I hope that we have inspired you to think about your wedding flowers. If you'd like more inspiration on which bridal bouquet to choose - click to check out all our bouquets on the wedding gallery here.